Bundle licenses can be purchased from our Addon store. Buying the add-ons in bundle will slash the prices over buying multiple single add-on over time. 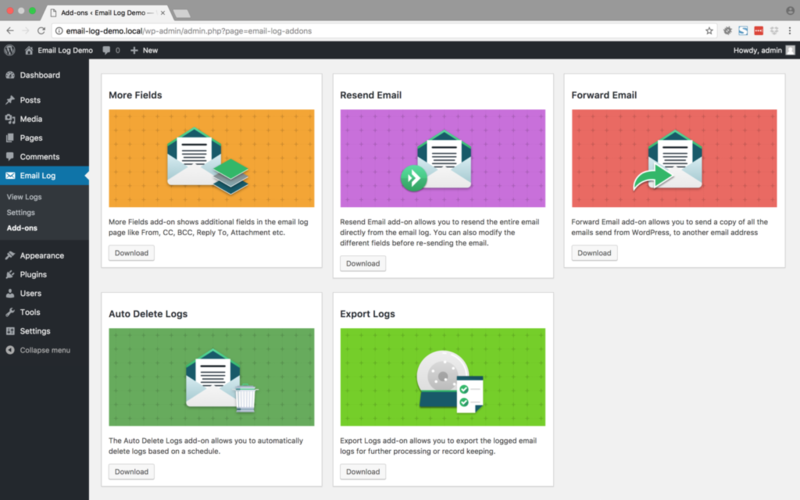 The most popular bundle is our 'Developer' bundle where you get the license to use Email Log and its add-ons on unlimited number of sites. Additionally, you also have access to any new add-on that we develop in the future, completely for free! If Email Log WordPress plugin is hugely important to your online business, consider the 'Ultimate' bundle. This gives you all the benefits of 'Developer' bundle with a slightly higher 'one-time' payment but with life-time support & updates. On the other hand, if you use Email Log in your small business/personal websites, do consider our 'Business' and 'Personal' plans. Once you purchase the add-on bundle, the license will be sent to your email address. You can activate the bundle license by following the steps mentioned below. 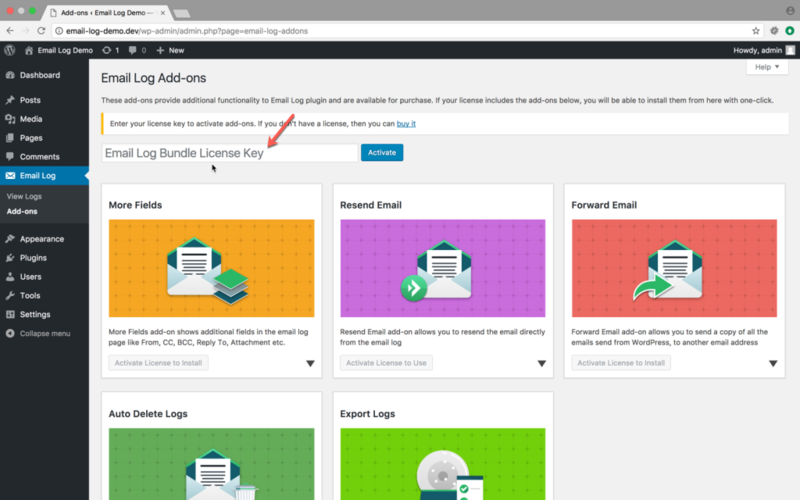 To use the Bundle license, head over to the Add-ons (WordPress Dashboard → Email Log → Addons) page. Enter the license code in the 'Email Log Bundle License Key' textbox. Click on the 'Activate' button to activate the license. Once the license is activated, you will be able download the Add-ons based on your license. You can then install the add-on plugin by clicking on the “Add New” menu under “WordPress Dashboard” → “Plugins”.